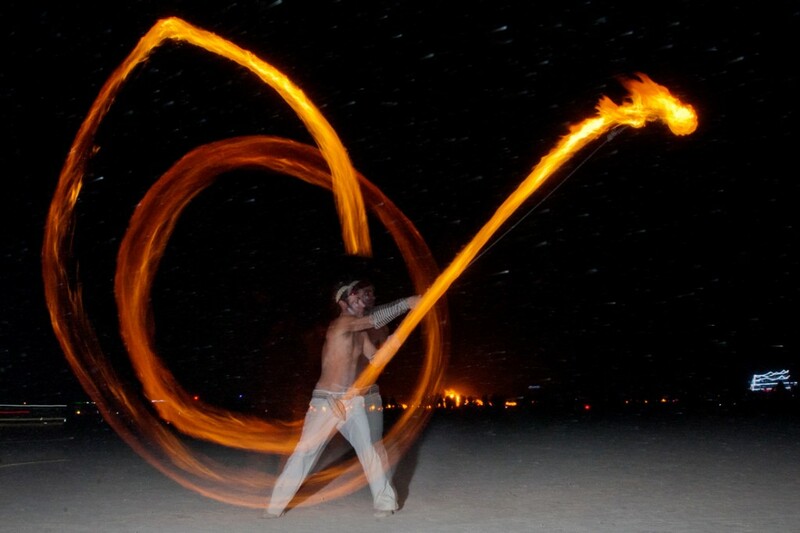 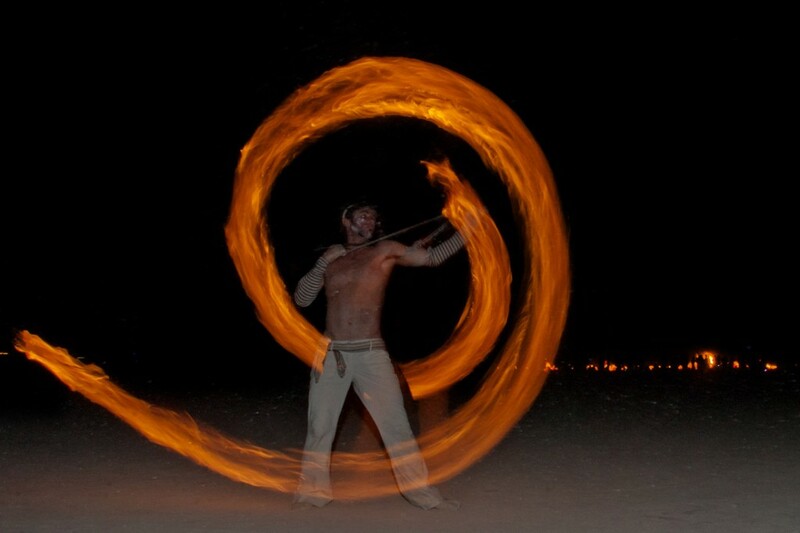 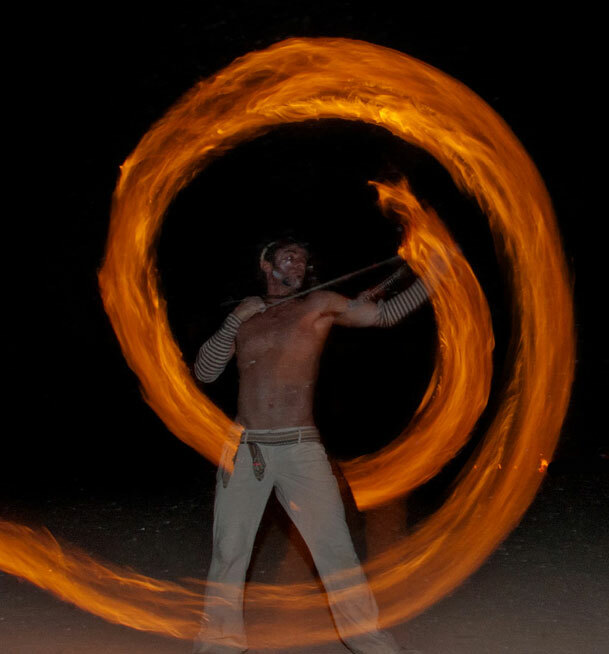 When fire dancers perform with Fire rope dart, originally a martial arts weapon, the night’s entertainment just got more exciting. 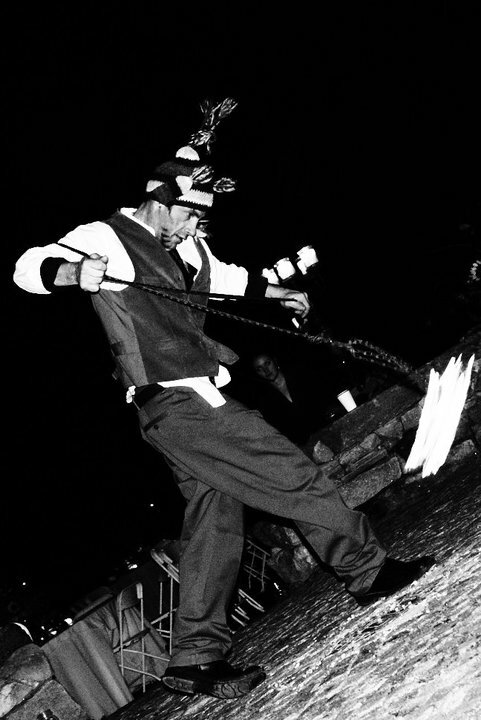 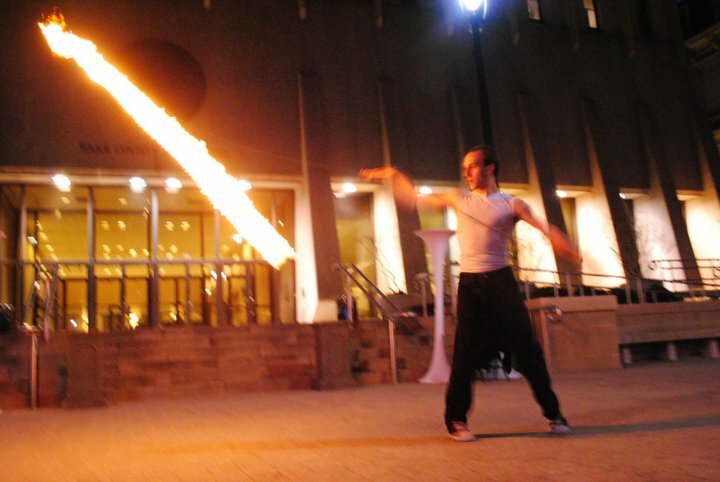 making the fire rope dart one of the longest reaching tools available to fire performers. 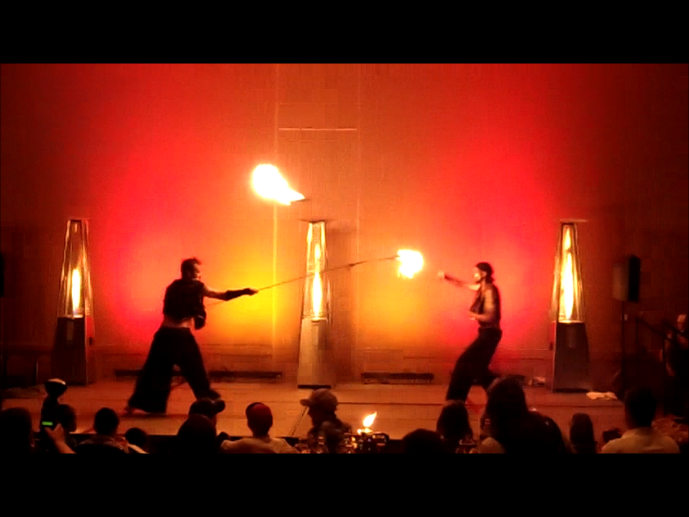 You’ll need some outdoor space, though, to have this fire show at your party, wedding or private event.